Cardiothoracic surgeons focus their efforts on the organs, bony structure and tissues that form the chest cavity. Many years of schooling are required to become a cardiothoracic surgeon. Patience and intense focus are keys to remaining dedicated and consistent. To be successful as a cardiothoracic surgeon, a person must possess physical skills, leadership abilities, and emotional capacity. Cardiothoracic surgery is comprised of four main areas: general surgery, heart and lung transplants, surgery specific to adults, and congenital surgery. Within those areas, a surgeon can choose an area of the chest cavity to focus on. The earnings potential and personal fulfillment for a cardiothoracic surgeon may more than offsets the years of schooling and associated expenses. Advances in cardiothoracic surgery make this young and growing medical field safer than it has ever been. Four specific advances have improved survival rates for patients. What is the focus of a cardiothoracic surgeon? To become a cardiothoracic surgeon, you first have to be interested in the organs, bony structures and tissues that form the chest cavity. A cardiothoracic surgeon treats and provides surgical interventions for diseases occurring in these areas. Cardiac and thoracic surgery are separate surgical specialties in some countries. But in the United States and the United Kingdom, they are usually combined. When considered separately, cardiac surgery involves surgery to the heart and large blood vessels. Thoracic surgery involves surgery to the lungs and other structures within the chest cavity. The path to become a cardiothoracic surgeon is long, but rewarding. The first step is education. Obtain a 4-year undergraduate degree in pre-med with an emphasis on science. Attend and graduate from a 4-year medical school. Complete a 5-year general surgery residency program. Enter a 2- or 3-year cardiothoracic surgery residency program, or enter a 6-year integrated cardiothoracic surgery residency. Residencies in all surgeries and surgical specialties are competitive, so doing very well in medical school is vital if you want to be selected. Some cardiothoracic surgeons choose to do additional training in a subspecialized area like heart and lung surgeries. However, with one exception, additional training in a specific area is option. The single exception is congenital heart surgery, which mandates completion of an additional 1-year fellowship. What are the attributes that I need to become a cardiothoracic surgeon? Cardiothoracic surgery is a highly demanding role for which you need a unique blend of skills and personal qualities. You will also need significant leadership expertise. In addition to the characteristics possessed by all successful surgeons, a cardiothoracic surgeon also requires skills in the following areas. Exceptional hand-eye coordination and dexterity. High perception of spatial relationships among and between objects. Ability to work long hours without a break. Undivided focus in spite of potential distractions. The capacity to remain calm and level-headed in very stressful situations. The aptitude to monitor developing conditions in and out of the operating room. The foresight to anticipate potential issues and complications. The ability to thrive under pressure. The desire and proficiency to lead and direct a team. The capability to inspire confidence in others. The resilience to cope with unexpectedly changing circumstances. A supportive disposition for the patient, their family, and your team in sometimes problematic circumstances. What types of conditions do cardiothoracic surgeons treat? Since the late 1940s, cardiothoracic surgery has experience brisk growth and fast-moving technological changes. The specialty is considered young and evolving as science and research reveal more about the cardiothoracic area of the body. Heart and lung transplant surgery. Aortic surgery – replaces enlarged or damaged blood vessels leaving the heart. Coronary artery bypass surgery – bypasses narrowed coronary arteries, restoring blood flow to the heart. Heart valve surgery – repairs and replaces usually thin or leaking heart valves. Pectus surgery – repairs chest wall deformities. Video-assisted thoracoscopic surgery (VATS) – treats some thoracic disorders without opening the chest. Lung surgery – inflates collapsed lungs and removes abnormal tissues from them. When the aortic or aortic and pulmonary valve is narrower than usual. When there is a a hole between two of the heart’s chambers. When the arteries are transposed. Cardiothoracic surgery is not for the faint-of-heart. Long years of training, working, studying, and practical surgical experience require intense focus. A residency as well as years practicing as a cardiothoracic surgeon are required. That’s how you become the best surgeon you can be in this delicate specialty. Given the time and financial resources needed, you may be interested in knowing what the return could be on your investment. According to the U.S. Bureau of Labor Statistics (BLS), as of 2016, physicians practicing primary care earned a total median annual compensation of $251,578. Physicians practicing in medical specialties received a total yearly median salary of $425,509. It is important to note that BLS figures may not include the income of doctors and surgeons in private practice. Earning potential may increase with additional certifications. To become certified in cardiothoracic surgery you must complete a specialty residency and pass exams from the American Board of Thoracic Surgery (ABTS). The ABTS administers the same tests for all heart surgeons and thoracic surgeons, regardless of their scope of practice. If you wish, after achieving general certification, you can qualify as a subspecialist in congenital heart surgery through passing an additional exam. Besides earnings, cardiothoracic surgeons often see some immediate and life-changing results of their work. When patients are able to return to most, if not all of their activities, the work becomes emotionally rewarding and filled with purpose. The heart has intrigued mankind throughout history, ascribing to the heart mystical and spiritual attributes. As an organ, the heart has always occupied an elevated place in the human body. To some extent it’s because the heart, like the brain, is a vital organ. In other cases it’s because we associate the heart with many emotions transcending our ability to put them into words. So the heart becomes mystical and almost unknowable in nature. Heart-lung machine. The heart-lung machine is a medical apparatus that can take over the functions of the heart for many hours (operated by a perfusionist) giving the heart surgeon hours of time to operate on the heart with very little or no bleeding. Cooling techniques. The development of mechanisms cooling down the temperature of the heart during a surgical procedure gives the cardiac surgeon more time to perform quality surgery on a heart that is motionless. At the conclusion of surgery, the heart is warmed and “restarted,” which resumes the pumping functions of the heart. Replacing aortic valves without surgery . Transcatheter aortic valve replacement (TAVR) offers a way to fix stiff, narrowed aortic valves without open-heart surgery. The technique delivers the new valve through a thin tube called a catheter that is threaded into an artery in the groin and gently maneuvered into the heart. 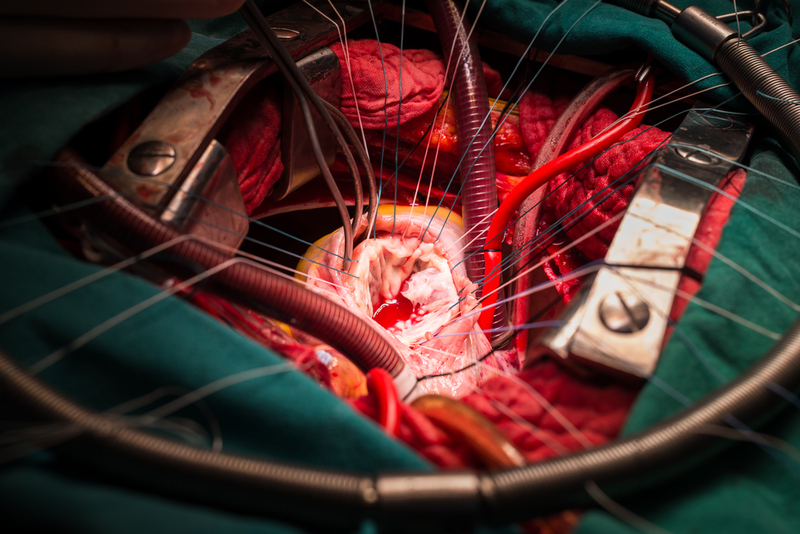 People who have undergone TAVR had a higher one-year survival rate than people who had surgery to replace the valve. Currently, TAVR is approved for people considered too sick or high risk for valve replacement surgery. Wireless sensors for severe heart failure . A new device helps doctors keep tabs on people with acute heart failure by measuring pressure in the pulmonary artery, which transports blood from the heart to the lungs. The CardioMEMS HF System is implanted in the pulmonary artery. From there it wirelessly sends data to a doctor, who can then adjust the person’s treatment as needed—often without an office visit. The goal is to prevent hospitalization for flare-ups of heart failure symptoms. The following is a quote from one of the pioneers in the field of cardiothoracic surgery. Nicholas T. Kouchoukos, M.D. “If you are a student or resident with intelligence, drive, and stamina, who loves challenges, hard work and positive outcomes, who is results-oriented, loves working with your hands as well as your brain, and enjoys caring for others and interacting with highly competent physicians and other health care professionals, you should strongly consider becoming a cardiothoracic surgeon…” Click here for full article. This year’s top 10 advances in cardiovascular disease, December 2014, Harvard Health Publishing, Harvard Medical School. I really want to become a Doctor – Is there anything I can do straight away? The Apprentice Doctor® has developed and perfected an Online Course for Future Doctors to assist them towards fulfilling their dreams of becoming great medical professionals. The For Future Doctors Foundation Medical Online Course with accompanying Medical Kit has helped launch the career of thousands of want-to-be doctors! The Apprentice Doctor® Suturing Course and Kit is the resource that will teach you How to Suture Wounds in a couple of hours! If you want to become a Surgeon – why not learn how to suture wounds now? 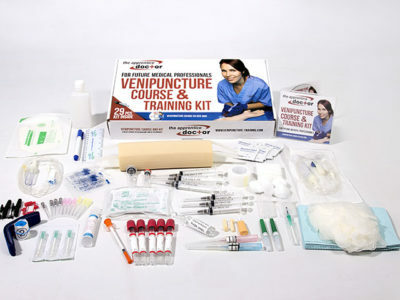 The Apprentice Doctor® Phlebotomy Course and Kit is the resource that will teach you How to confidently perform phlebotomy procedures in a couple of hours! If you want to become a great medical professional – why not learn how perform venipuncture procedures now? What high school subjects would you focus on to become this specialty as a career? Maths, Science (physics/chemistry), biology (life sciences). Hey what if you are not doing all the science subject at school? Like I only did perquisites to get into the course I want for example, the course I want to do only says I need a study score of 25 for Chemistry and Math Methods that’s it. Can you still become a Cardiothoracic surgeon with these? What is important is that you show a trend toward taking science courses in high school and then focusing on them in college. Not having a lot of science in high school doesn’t prevent you from becoming a cardiothoracic surgery. But it may cause you to be a little less prepared when you enter college. Medical school candidates who do well in sciences in high school tend to do well in college. Nevertheless, once you are in college, take as many science courses as possible to catch up and ensure you maintain high grades. You can overcome a lack of science courses in high school with careful and intentional science course selection early in your college career. With that plan you can still become a cardiothoracic surgeon. Hey I just wanted to ask what the difference between a Cardiothoracic surgeon and a paediatric surgeon? A pediatric surgeon is someone is who specializes in performing surgery on infants, children and young adults (teenagers). As a pediatric surgeon you may choose to focus your career in pediatric cardiothoracic surgery. How many hours would you expect to work per week? Could you potentially take lower pay for lower hours? Lastly, is the stereotype true that cardiothoracic surgeons are always on call (aka, waking up in the middle of the night to perform surgery)? No need to fluff the answers, I am determined to go enter this field, nonetheless! Employed: The days of unlimited hours are very much over as it is all the more regulated – and one would be able to work civil hours – like 40-48 a week – (at least in theory – but in reality 50+) and one will be on an after-hours call roster every 2-4 weeks – possibly on a first and second call arrangement. Self employed: Your weekly hours will be more your decision but probably in the region of 60 hours – and one wound team up with other Cardiothoracic surgeons in the area for an after-hours call roster to help referred/emergency patients. Unfortunately one is 24/7 on call for your own patients – you won’t expect another surgeon to get up in the middle of the nigh to stop a bleed on a patient on whom you operated during the day for instance. As a cardiothoracic surgeon you will probably get much more night sleep hours as compared to an Obstetrician. How many hours a week& day do you work? I work about 30 – 36 hours a week in my practice – but I am very busy with a lot of other activities and business ventures. Most of my colleagues work double these hours though. I really love your article and i’m interested in the career.See i’m a 15 year old girl in grade 9,who would love to become a cardiac surgeon one day,but dont know were to start,which medical school to attend and which scholarship to apply for,my question is were can i apply for my further education. Well – step one is completing your schooling career in excellence – especially Maths, Science (Physical science and chemistry) and Life sciences. I would like to know if i can still be a cardiothoracic surgeon if i become a nurse first? You can – but it is an awfully long road you will be taking in a career path that will already require well over a decade of studying. I appreciate those cardiothoracic surgeon for their paticience n hard work. And my dream is also to become a cardiologist so that i can help those poor people from death. I am also a medical student so near future i have todo so. But the thing is if anyone sponser for me by porviding scholarship i will obviously fulfill my dream job a cardiothoracic surgeon. Have you applied for sponsorships yet? Hi…i am rounding up my medical programme and i have been considering this aspect of surgery..but is it advisable for a woman who wants to keep a family? With a lot of planning and discipline I would say a qualified “yes” but there are more ideal medical branches that you could consider. how much percent required to become a cardiac surgeon ?? Is der any risk of radiation exposure to cardoithoracic surgeons?? At what point during this long journey does one get paid? Also is it REALLY possible for a woman to balance her life and family along with becoming a cardiothoracic surgeon? What’s the next best thing after cardiothoracic surgery that may not take as long but is similar and just as meaningful, and pays well? If you want to have a reasonable family life – the probably cardiothoracic surgery is not the career to follow. Have you thought about anesthetics? What would be the best universities one can attend to become a cardiothoracic surgeon, and which one did you attend? I am not a cardiothoracic surgeon – I am a Maxillofacial and Oral surgeon… One needs to be both Dentally and Medically qualified to do this type of surgery. I want to be a cardiothoracic surgeon, but will it be more difficult as a woman? What should I do in high school and for volunteer work to begin to prepare myself? Is a highly mathematically oriented mind pretty much mandatory? And will strengths in communication and empathy work for me or against me? I really believe that I can do it, as I do not want a family. How can I make sure that I will be prepared and very sure of my specialty. I am still in high school, but I have always known I wanted to be a doctor and to help people. I feel that cardiothoracic surgery is a highly rewarding and incredible career. Where else could one fix broken hearts? Will it be more difficult as a woman? No – but for those who want a fulfilling family life – lets just say it is enormously challenging! What should I do in high school and for volunteer work to begin to prepare myself? I have a med school preparation logbook I am working on – send me your email address and I will send you the guide book that I am working on. Is a highly mathematically oriented mind pretty much mandatory? Short answer – “Yes”! And will strengths in communication and empathy work for me or against me? Will work very much for you. I really believe that I can do it, as I do not want a family. Go for it! How can I make sure that I will be prepared and very sure of my specialty. It will become clear during your 4 years in med school – shadowing a cadiothoracic surgeon will be of great value! I am still in high school, but I have always known I wanted to be a doctor and to help people. Great. I feel that cardiothoracic surgery is a highly rewarding and incredible career. Where else could one fix broken hearts? Good point! My ambition is to be a cardiovascular thoracic surgeon and i want to know what I have to do, the requirements both academic and general and most importantly how I can help people in this field of surgery. Thnxxx.. I hope it is your ‘vision’ rather than your ‘ambition’ – just to be technical for a moment. Vision looks outwardly while ambition is more driven by personal gratification. I will send you an email with a nice resource so you can prepare your career as a medical doctor – surgeon – and eventually as a cardio-thoracic surgeon. I wish to be a cardio thoracic surgeon .. I am currently in med school my first year, and I’m really aspiring to be a successful CT surgeon, but, could you please tell me a good GPA score that can be good enough to apply for my residence ? thanks a lot! This is just my opinion – maybe someone else can comment as well. I don’t think there is a specific GPA -varies somewhat from one medical school to the other – but as a competitive residency it should be in the upper 20% at least. It has always be my dream of becoming a cardiovascular thoracic surgeon. Currently, I am a MBBS(Bachelor of medicine and Bachelor of Surgery) student of Jinggangshan University-China. Can you tell me the next level of education I have to enter before achieving my dreams? Is there also any road map you could share with me that will be useful and serve as a guide? I am a freshmen and I want to become a Cardiothoracic Surgeon but I want to know if there is any possible route that I could take on shortening the amount of years it takes to become this surgeon, but with the same amount of knowledge provided in the 11-15 years? Is there a special medical school that would allow me to do this? I don’t want to spend the next 18 years of my life in school, but I also don’t want to be a danger to any future patients. Otherwise no short-cuts I have to say. Keep in mind that following your medical degree you will get remuneration – usually as a combined university/hospital post. The “sad” news is that if you become any type of doctor/surgeon you will be a student for the rest of your life – not only for the next 18 years! 2. Getting into medical school and getting into a very competitive residency – being Cardiothoracic surgery. Regarding choice of university/med school I would suggest you do your own research and ask lots of questions on the relevant SDN (Studnt Doctor Network) forum. Hi I am wondering what I can do in high school to prepare for med school and for cardiothoracic surgeries? Is there anything specific? Have you considered our premed course? It is intended for High Schoolers – you will enjoy it tremendously! Have you considered attending a premedical Camp/Program? It will give you a lot of ideas! I’m 23 yrs old planning on going to college during fall and well my ultimate goal is to become cardiothrotic surgeon. I know if all goes well I’ll be finish with medical school at age 33-34 and residency at age 40. Would you consider that to be too old??? Have you heard or seen of similar situation..
Rather be 40 and be content and fulfilled in your career than be much younger and hating what you do at work! Yes – you are not unique – there are people much older than you studying medicine and loving it! I would like to thank a lot this info. Recently am from Germany. Am student doing my A-level ( Abitur ) I would like to get more information about University. My career is to be heart Surgeon. I hope you’ll reply me back and give me more information. Am already now in medicine way. Hi Mohamed – I must unfortunately admit that I know preciously little about the German medical educational system. Maybe one of the other readers will reply with a more information. The 2 goals do have conflicting interests and time management challenges – but then will you be a happy Dermatologist? First, I greatly appreciate the information given regarding the Cardiothoracic Surgeon. It was concise and comprehensive. I am a high school senior and perspective freshman next year. It is really my passion to one become cardiothoracic surgeon. In my country, Somalia, there is no female cardiac surgeon and I want to be that female to fill the need. However, I currently arrived United States in 2012. Do you think there will be some obstacles regarding me being a newcomer which I will encounter along the way to become a cardiothoracic surgeon. Please also if you know of any medical programs I can participate I would really appreciate your help. Thank you for registering for our For Future Doctors Camp in Tampa FL! You have a great vision and there is no reason you cannot succeed. Obstacles there will always be – but if you persist you will overcome them all! See you in Tampa in June – will send your letter of acceptance soon. Hi! I want to become a Cardiothoracic Surgeon. And I was wondering if you can operate both on children and adults or you have to choose one or the other. Also I was wondering if you could perform thoracic, vascular, and cardio surgery’s just being a Cardiothoracic surgeon and would you have to do a different fellowship for each after the general surgery residency? One last thing would you recommend doing the 6-year program and UNC? Cardiothoracic surgery involves all the structures within the thoracic cavity – in both adults and children – but if you want to focus in on pediatric patients you will have to do a cardiothoracic paeds fellowship/sub-specialty. Cardiothoracic surgery by its nature involves vascular surgery within tthe thorax – but then Vascular Surgery is a sub-specialty of general surgery. At the end of the day one are allowed to perform surgery of any kind within your specialty field – as long as you can prove that your properly trained and has the experience to perform it safely. Hope it helps! …and “yes” I would definitely consider the 6-year program at UNC – especially if you do a long career path like pediatric cardiothoracic surgery – 2 year less is significant! (you might see my comments quite a lot, sorry) I wanted to know whether you can choose what part of the chest you want to work with, by that I mean if I don’t want to do a heart surgery and I’d rather do surgeries on the lungs, oesophagus etc would they allow that ? and if yes, when studying for it would they still teach you how to do it or would they only teach you the parts you want to actually do a surgery on. Basically is there a choice? One can choose and “super-specialize” – and one’s colleagues will refer specifically if they need the best person on esophageal surgery for instance. Once you have your basic registration as a cardiothoracic surgeon you may choose a field of special interest. I study 1st year MBBS in Medical College Kolkata, India.I want to become a cardiothoracic surgeon in US.Could u elaborate the procedures involving various examinations, USMLE n various colleges under this exam? We get masses of questions/emails/etc. from students from India, other pats of Asia and Africa who would like to study medicine in the USA. In short – we are simply unable to answer questions in this regard due to the volumes. Please go to these websites for information. For becoming a cardiac surgeon, do I have to learn both physics and chemistry or only one of them? I am in Zimbabwe and will be going for Advanced Level this year. I really wanna be a cardiothoracic surgeon. Would like to know the subjects I need to do: Maths, Biology and Chemistry. Question is: Do I need to do Physics. Also what grades do I need? Yes – you need to understand fluid, volumentrics, hydraulics and a lot of other basic physics principles if you want to be a cadiothoracic surgeon. Grades – you compete with the best of the best for a place in med school – so that is the short answer – “excellent grades”. There is a fair amount over overlap between cardiac surgery and cardiology -thus cardiothoracic surgeons may administer drugs and cardiologist perform minor invasive procedures on a daily basis.. I have ADHD, how could this affect me, in working as a heart surgeon? I take medicine for focus and behavior, but when i forget to take it I am real fidgety, and hyper, which makes me unable to sleep with all the extra energy. I think the years of study is the challenge – rather than being a heart surgeon per sé. You may need to make peace with the fact of taking medication all along your many years of study – and possible beyond. my name is Ernest, am 18 years old & am from Nigeria. am in the university of calabar medical school, level 200, studying medicine & surgery. just want to ask, what are the chances for me as a Nigerian to become a cardiacthoracic surgeon in the United states. i want to do my residency in the states. How possible is it? The Apprentice Doctor assists High School Students towards a career in medicine – mainly in the USA. Your question is beyond the scope of our current sphere of knowledge and expertise. I am sure there is a way somehow. Try: https://www.faimer.org/ Best! Do you have to do the residency program? If yes, can family members join you? i did my 12 from physics, chemistry and math. now i am studing in sydney in information technology. but i wanna be either cardiologist and cardiothoracic . but i dont know what to do and one more thing, i need to manage my expenses on my own. so please sir tell me what i need to do to achieve my ambition.